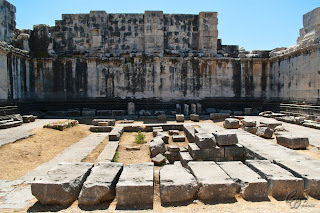 Didyma (Greek: Δίδυμα) was an ancient Ionian sanctuary. 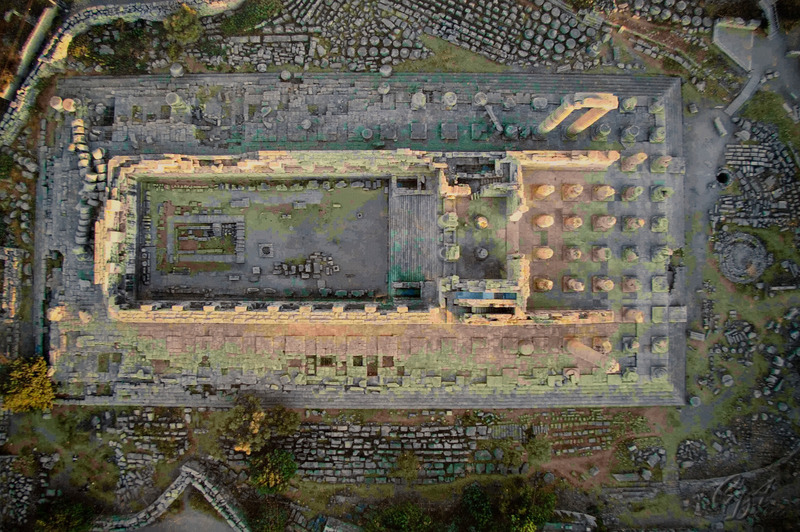 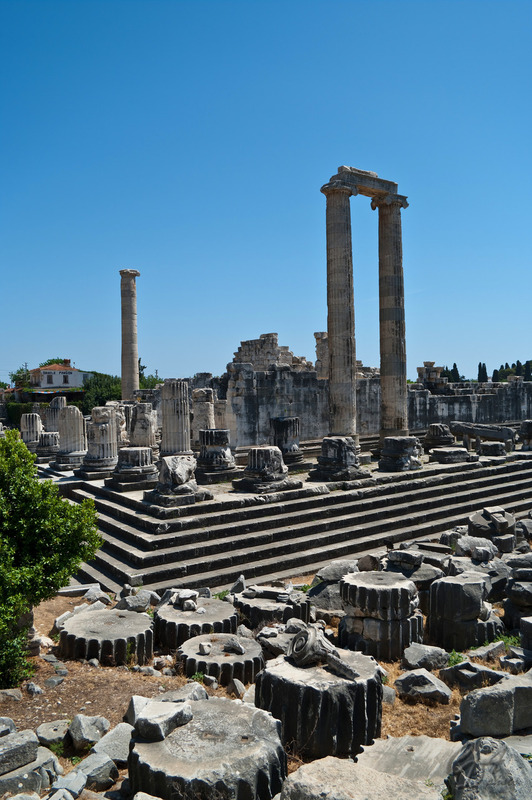 Although it predates the Greek Ionian colonization, the sanctuary from Didyma was famous in the Hellenistic world for the temple and oracle of Apollo - the Didymaion, being the most significant sanctuary of this kind after the oracle of Delphi. 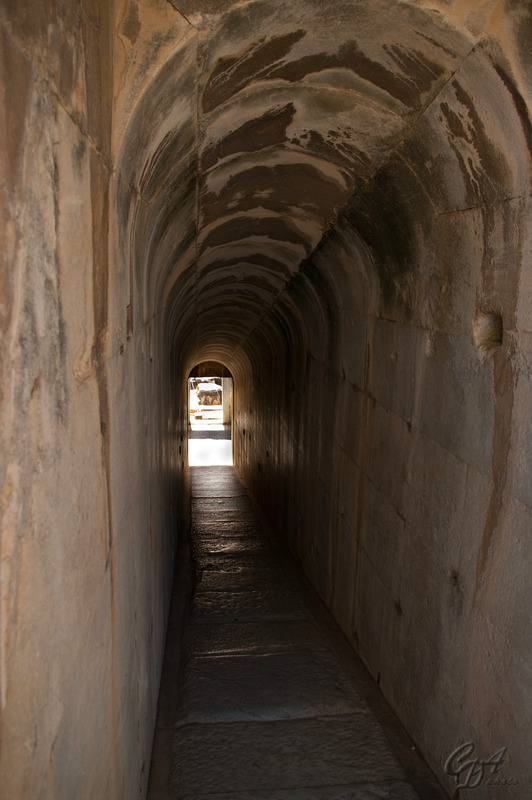 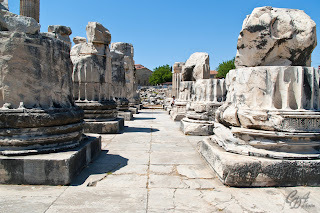 Didyma lies about 17 km from Miletus and was connected to the Hellenistic city by the Sacred Way. 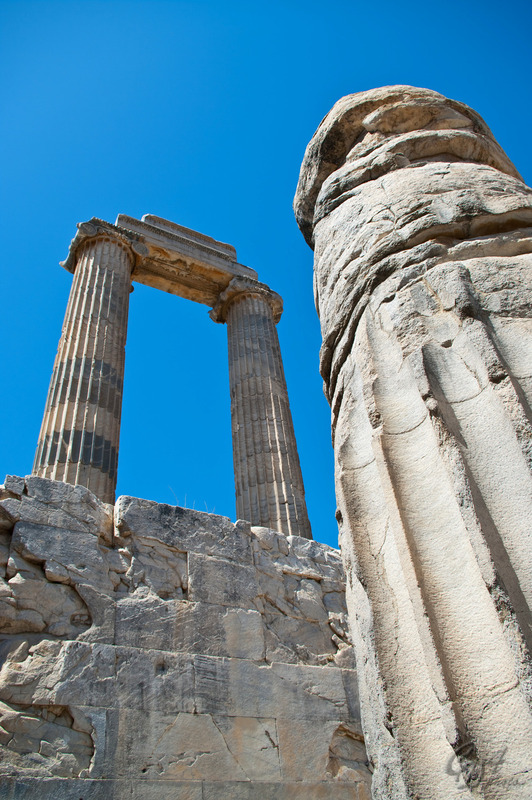 "Didyma" can be translated in Greek by "twin", referring to the twin gods - Apollo and Artemis (the Temple of Artemis was in the nearby city of Ephesus, while the much more important Temple of Apollo was in Didyma). 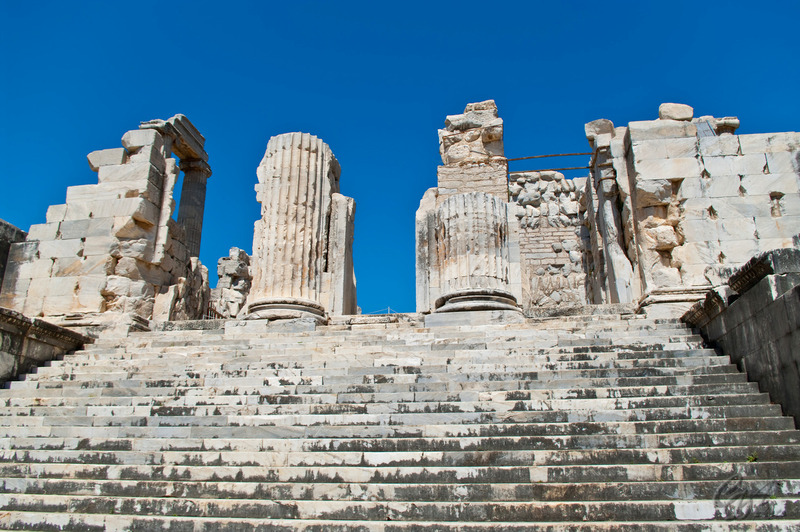 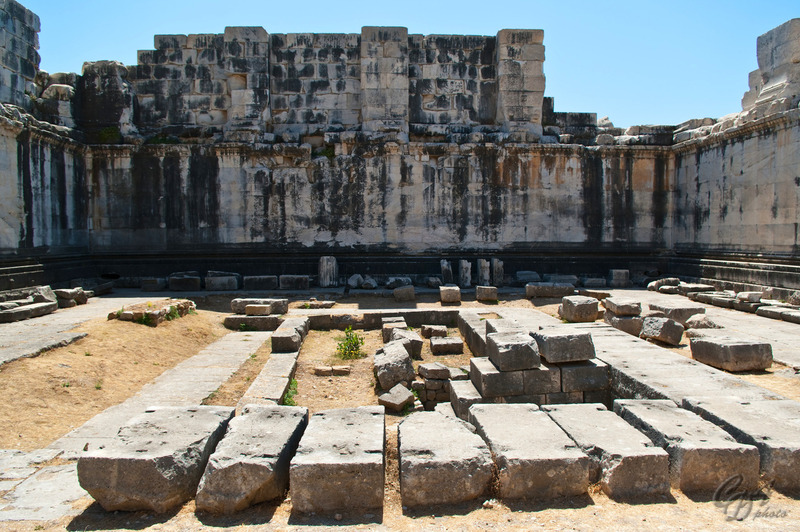 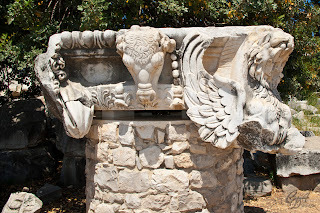 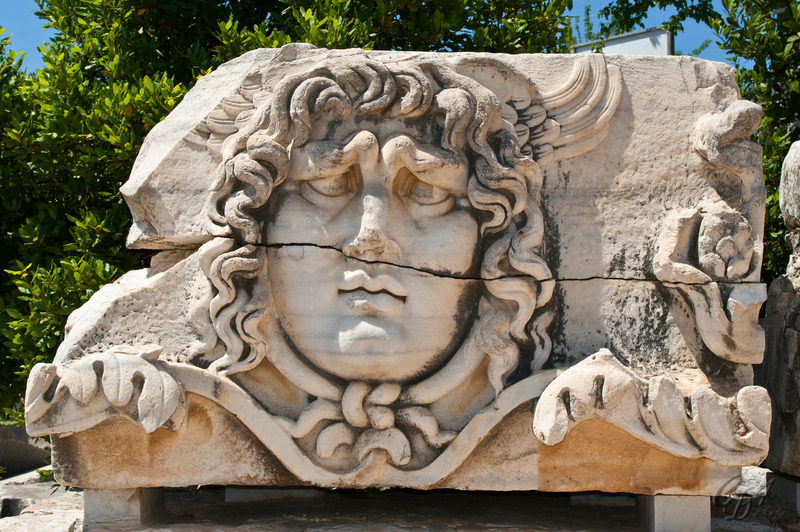 Part of the classical Miletus, Didyma shared much of the town's rich history and destruction, being rebuilt during the time of Alexander the Great. 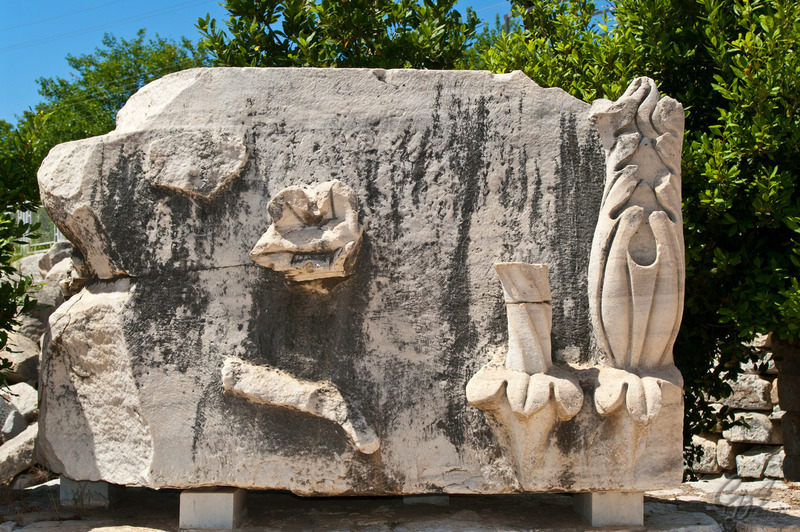 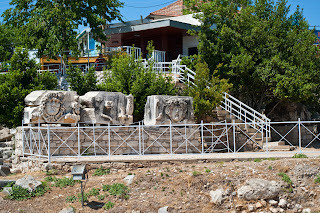 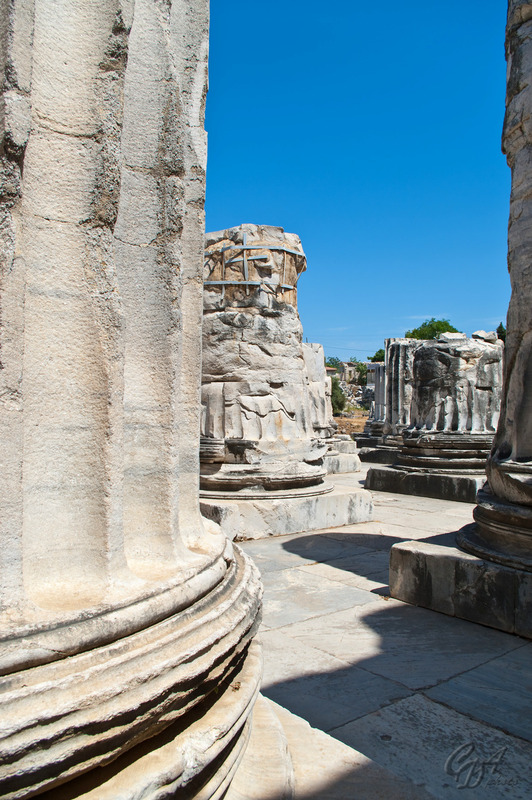 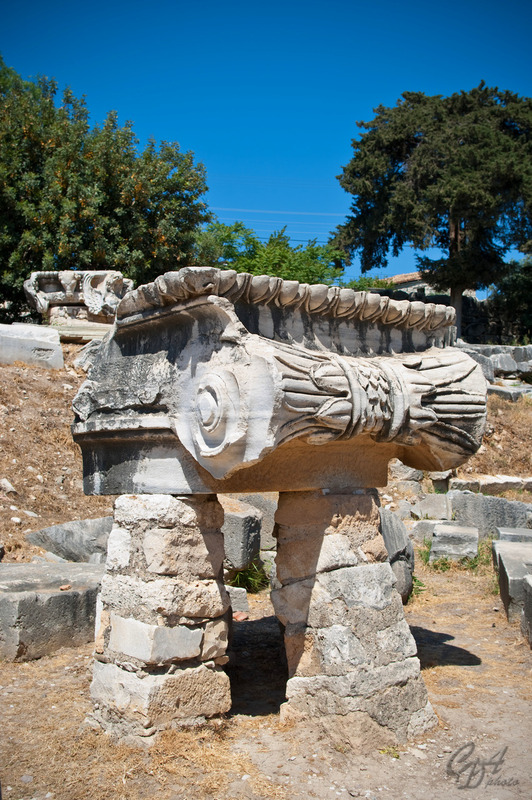 Nowadays the temple can be found in the middle of the modern town of Didim. The town is a peaceful place, but the archaeological site can get rather crowded sometimes due to its small size (so for more tranquility I'd recommend visiting Miletus). 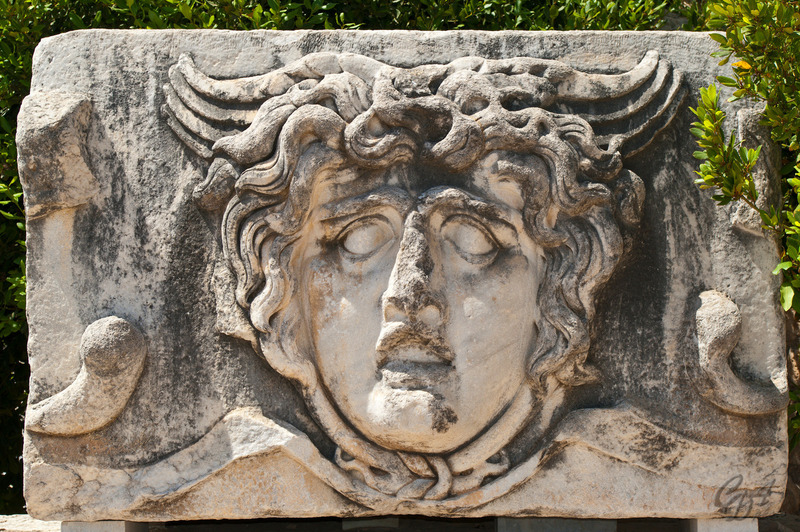 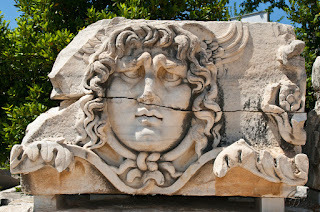 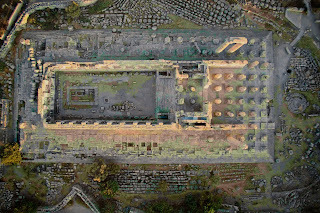 Much more information about the archaeological site and temple of Apollo can be found on didyma.com or sacred-destinations.com. 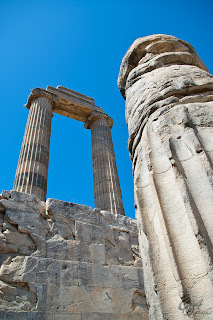 The location on the map is here and some of my personal photos follow.